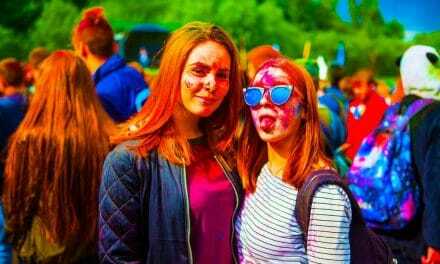 Holi is primarily known as the festival of colours. 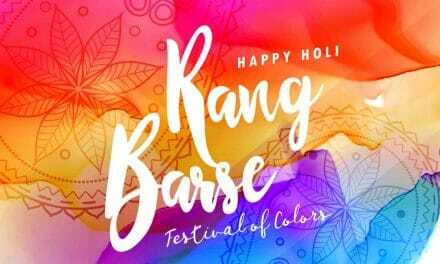 We all love this festival for its colours and all the fun associated with it. But no celebration in India is complete without some mouth-watering snacks and drinks. Holi too has its share of traditional recipes which are a must-have during this joyous festival. Different dishes are prepared in different parts of the country during the fun festival of Holi. We’ve compiled a list of ten sumptuous snacks that will make any Holi party special. This special Holi recipe is a dessert, which is made with refined wheat flour and stuffed with khoya, dried fruits, and coconut. Some people also added semolina to the flour for added crunch. The gujiyas are fashioned into their unique design by pinching the edges in a decorative pattern. The dumplings are then fried in desi-ghee for extra flavour. This delicacy is traditionally prepared in North India for Holi. Another traditional Holi sweet recipe, Malpua is made with refined flour, milk, and cardamom, which is dipped in sugar syrup. A traditional dish of Rajasthan and Bihar, this can be had with rabri as well as sugar syrup. You can give Malpua several variations like mango, pineapple, and even banana. This sumptuous dish is prepared in the states of Maharashtra, Gujarat, Andhra Pradesh, Karnataka and Goa. It is a flattened sweet bread prepared with jaggery and chana dal(chickpeas), which gets its flavour from various spices and condiments. It tastes best with a spoonful of ghee added to it. According to a Maharashtrian tradition, this dish is offered to guests on Holi morning. Shakkar Pare is another hot favourite Holi recipe. This Maharashtrian snack has now become famous all over India. This snack is usually cooked in advance and served during Holi. It is usually made from refined flour and oil. They get their sweetness as they are covered with sugar syrup. Some people also add a bit of coconut powder or some cardamom to it for a different flavour. This drink is popular during Holi for its cooling properties. Made with milk, almond and spices like fennel, cardamom, pepper, rose petals, khus seeds, and saffron, this drink is an absolute essential for Holi celebrations. Bhaang is sometimes added to thandai for that intoxicating effect. Bhaang is prepared by grinding the buds and leaves of the cannabis plant into a paste. This is then mixed in the thandai to make the famous Bhaang ki Thandai. This savoury dish is made by deep frying a mix of urad and moong daal. These dumplings are then soaked in curd and eaten with mint and tamarind chutney. Chaat masala and cumin powder add to the flavour of this dish. This is one dish that is an absolute must at any Holi celebration. 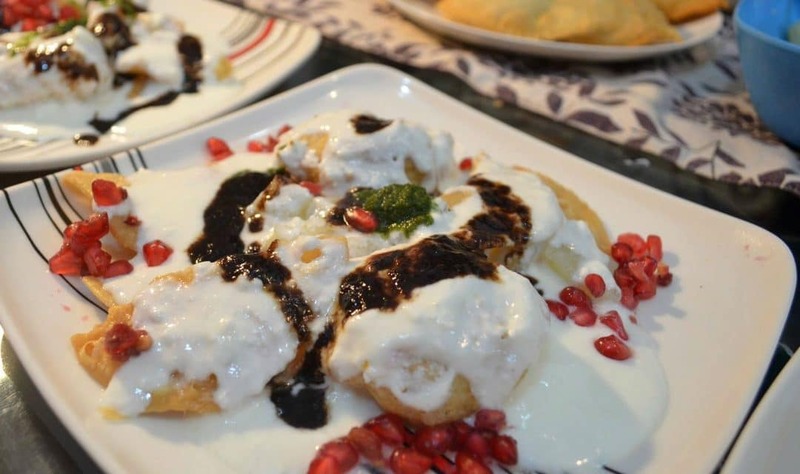 Also known as Dahi Bhalla, this is one dish that is liked by all during the festivals. It is usually served chilled. This crispy snack is prepared by frying vegetables in besan batter. The essential ingredient of this famous dish is the bhang seed powder. This powder adds an intoxicating effect to the dish. This recipe is as popular as thandai during Holi. It’s easy to make, and it tastes best served hot. These vadas are traditionally made in UP and Rajasthan on Holi. This dish is made of urad dal, chillies and asafoetida. The kanji is made up of mustard seed powder, salt, turmeric, asafoetida and red chilli. The kanji is then set aside for three to five days so that it can get fermented. The vadas are soaked in this kanji. Beetroot kanji is also famous and is prepared for Holi. This sweet rice (also known as zarda) is cooked with saffron to give it that unique yellow colour and fragrance. This dish can be served both warm and cold on Holi. This recipe is favourite in south India as well. Considered pure and auspicious, this is usually the first meal during festivals. This sweet is popular in West Bengal on Holi. 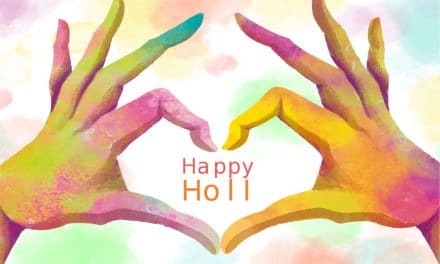 Here Holi is called Dol Purnima. Jaggery syrup is used to make these rasgullas. Date palm jaggery often used in Bengali desserts. This jaggery gives these rasgullas a unique flavour and aroma. These rasgullas are usually a little darker in colour than the regular ones. Traditional Holi dishes vary from state to state. Some dishes like Malpua may have originated in Rajasthan, but have become famous all over the county over the years. This is precisely what festivals are all about, an occasion to celebrate together and forget about the boundaries of the state, caste and culture. PreviousWhat does HML mean in Texting? NextWhat does GTG or G2G mean in Texting?